6. Stir in chocolate chips and oats. 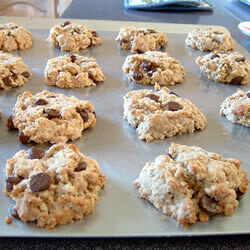 Alternative: Add 3/4 teaspoon coconut flavoring with the vanilla and 1 1/2 cups shredded coconut with the chocolate chips.